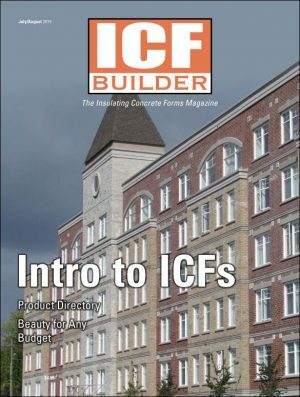 A basic overview of ICF construction for the trades, including electrical, plumbing, drywall, and exterior finishes. Featuring a Moroccan-style courtyard, this fireproof net-zero home replaces one lost in a wildfire. ICFs were used for virtually every wall of this stunning Texas home, including several multi-story radius walls and a skybridge. 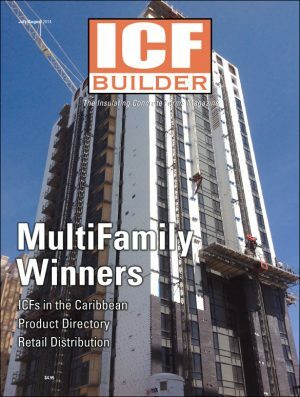 Built adjacent to Walt Disney World, this high-profile project was built on an extremely tight lot with unique scheduling issues. 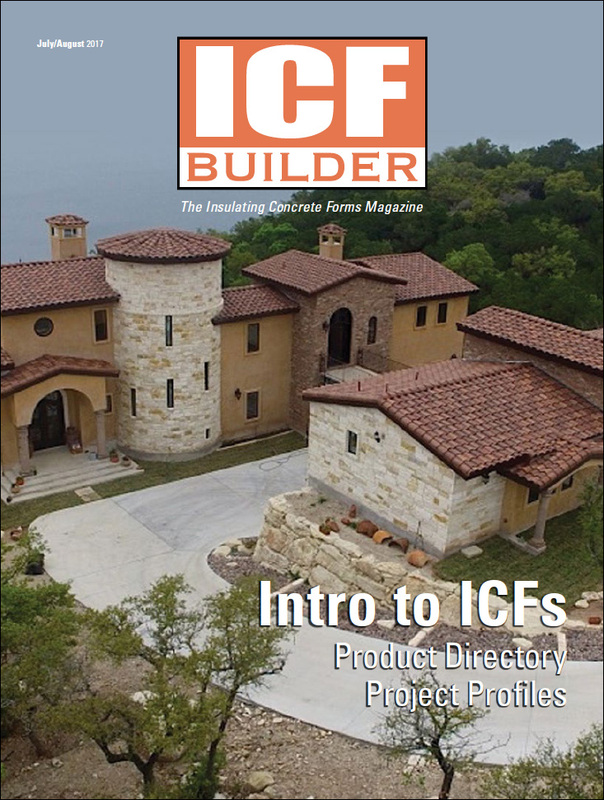 A special section of paid advertising containing a directory of ICFs and accessory products, organized by category with company contact information.